Your number is your Library Card Number. Go ahead. Go find your library card and look at the back. The number starts with a 2. Your Plainville Public Library card number is the key to so many great resources online: eBooks, eAudiobooks, A to Z Maps, Zinio online magazines. Resources that are available to you 24/7 and on your mobile devices! If you don't have a physical library card, whether you can't find it or you lost it somewhere along the way, come to the Plainville Public Library during our What's Your Number? campaign to receive a FREE replacement library card. Everyone in your family should have their own card: husband, wife, kids, grandma, papa. So if you've been using a family member's card - get your own today - so you have access to everything, everyday, every time! If you've never had a Library card click below to fill out our online form. 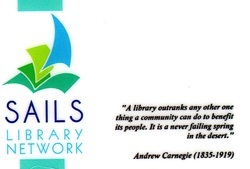 And then come pick up your card at the Plainville Public Library with proof of address. Library cards are available free to anyone who lives in Massachusetts or works in Plainville. Rhode Island residents pay a yearly fee of $55 for access to the SAILS Libraries and all online resources.